It’s fair to say that Phenom has been a long time coming and we’re pleased to say it’s finally here; although, some might say only just. You’d think for AMD’s biggest product change since the K8, combined with a whole new brand to push (a name change we still think is for the worse), it feels strange that AMD isn’t pushing its new CPU harder. Instead we hear more about the “Spider” platform that consists of AMD 7-series chipset, Radeon HD 3800 series graphics cards and Phenom CPU. As AMD’s first quad core CPU, the company has been emphasising the fact that its product is the first native quad-core for quite a while. 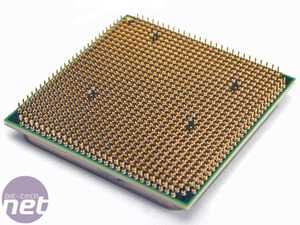 However, after delaying the 2.4GHz Phenom 9700 until Q1 2008 at the eleventh hour, we were left a little disappointed because of the fact that AMD is launching at just 2.2GHz (9500) and 2.3GHz (9600). This was down to the infamous L3 cache Translation Lookup Buffer (TLB) erratum in the current B2 stepping that causes the system to crash in rare scenarios. A BIOS fix has been released by some motherboard manufacturers, but not all, and the result is a drop in performance that is somewhere in the region of 10-to-15 percent, depending on what programme you’re using. The B3 stepping will fix these problems in hardware (and also generally tidies things up, so we hear), but it’s not due out in quantity until at least next February. 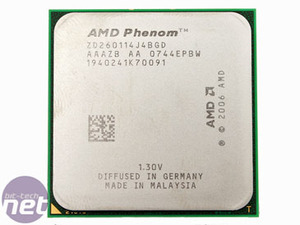 In the same timeframe, AMD has said it also plans to launch a 2.6GHz Phenom 9900, along with the 2.4GHz Phenom 9700. However, even with those processors in the market, it doesn’t bode well for competition against Intel’s high-end 45nm Penryn processors, which are already hitting speeds in excess of 4GHz after a bit of overclocking, which suggests that Intel could turn on more performance as and when it sees fit. The reason for this is because AMD’s 65nm process isn’t as mature as the company was hoping by now – that’s quite worrying considering the fact that AMD has been producing processors on a 65nm process for almost a year now. During our meetings with the company out in Warsaw, AMD told us the reason for this was that it was so focused on getting Phenom out of the door and that left itself with very little time to optimise the process technology. With all of that said though, the TLB problem rarely presents itself and AMD is working to optimise its process technology now that Phenom is finally out of the door. 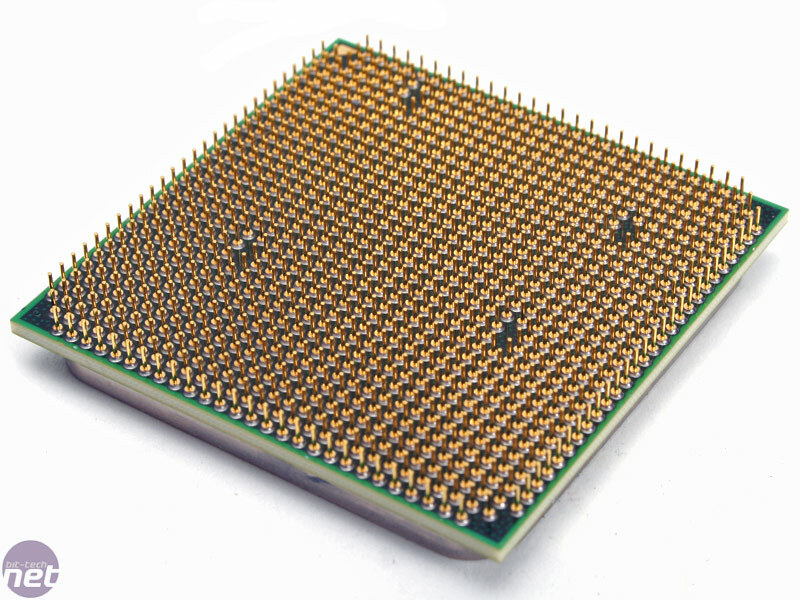 Therefore, if you’re still a fan of AMD products and still want to support the green team – I’m sure you’re interested to know how the new quad-core Phenom CPUs compare to Intel’s current offerings. Let’s have a look. 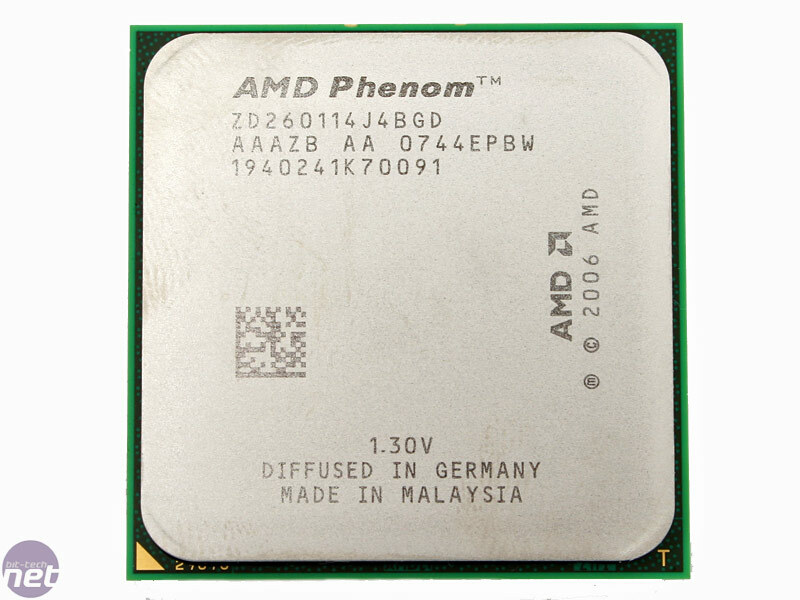 Putting the shenanigans of Poland’s benchmarketing fair to one side, we (eventually) grabbed a couple of Phenom chips from AMD to put it through its paces at 9500 (2.2GHz), 9600 (2.3GHz), 9700 (2.4GHz) and 9900 (2.6GHz) to give you the full top to bottom of how present and future products should perform.